Magnesium is a mineral and is primarily found in green leafy vegetables, nuts, legumes and avocado. In the human body, it is found in our bones, teeth and in red blood cells. Magnesium is vital for the effective function of muscular, nervous and cardiovascular systems. In addition, magnesium assists with digestive functions and can help prevent bowel irregularities. Magnesium is a common ingredient in products used for relieving indigestion or constipation. A formula of magnesium is usually given to patients as a means to cleanse the bowels prior to some surgeries, examinations and procedures. Maintains healthy bones, nerves and muscle. Helps regulate a healthy blood pressure level. Can reduce the risk of metabolic syndrome. Supports the muscular system and muscle health. Can assist in maintaining mental clarity. 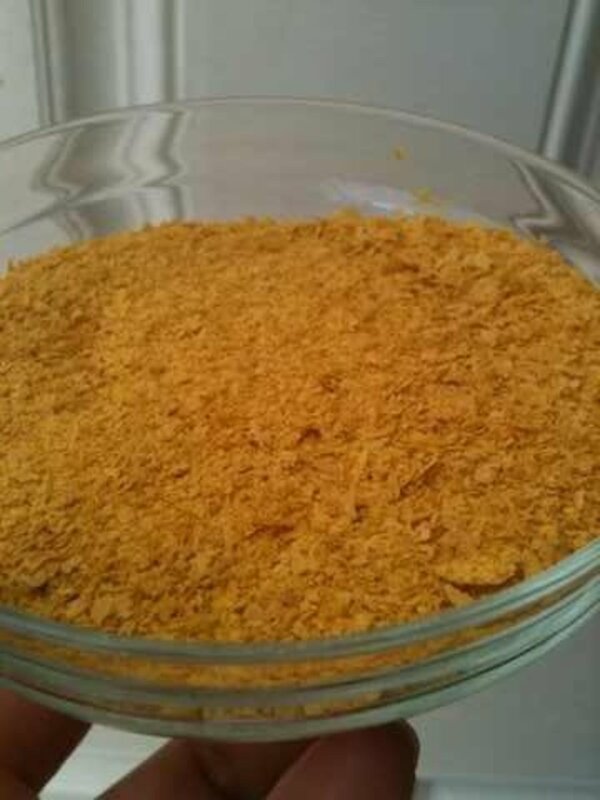 Relieves fibromyalgia and reduces chronic pain. Improves symptoms in asthma and emphysema. 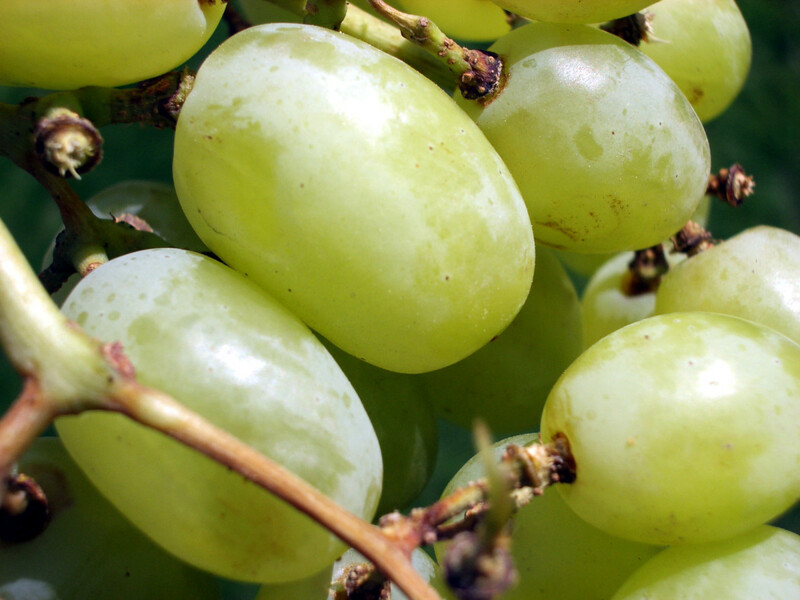 Plays a role in supporting protein, calcium and potassium. Magnesium deficiency occurs when the body does not have sufficient intake of the mineral, magnesium. Also, some medications and disorders may affect the effective use, absorption and excretion of magnesium in the body. Bulimia: diuretic and laxative abuse as well as excessive vomiting. Hypokalemia: low levels of potassium in the blood. 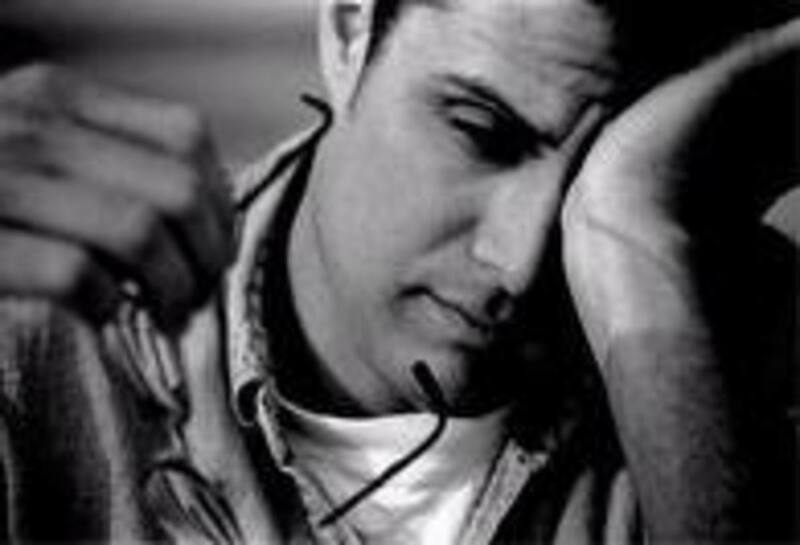 Insomnia is a symptom of magnesium deficiency. Magnesium does play a very important role in aiding the body in regulating slow. Of course there are many factors that can provoke insomnia but magnesium does play a role in how the body reacts to the need for sleep. Magnesium affects muscle relaxation, diffuses adrenaline and directly affects the function of GABA receptors. 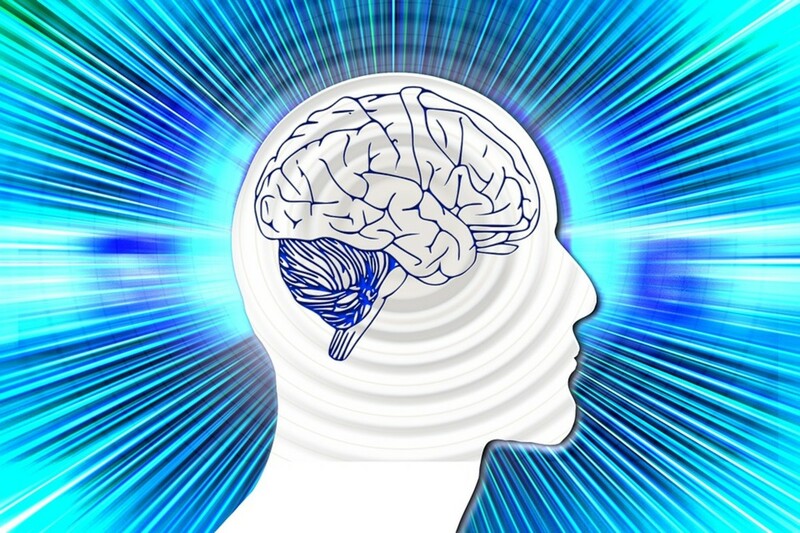 GABA is the neurotransmitter that calms the brain and reduces anxiety. It reduces tension and works hand in hand with serotonin levels to help us find calmness. Plus, if you keep an eye on your diet you can further aid the process by adding melatonin inducing foods. The sweet combination of GABA, serotonin, melatonin, magnesium and other nutrients will help your body clock, heart and muscles work as they are meant to be. So yes, magnesium does aid in regulating the body and its sleep cycle but we must also find a healthy balance in what we eat. All of these vital nutrients work together to help our brain regulate when we must be alert and when we must wind down. So be sure you are getting enough calcium and potassium too. Diabetics: Diabetics with poorly controlled sugar generally have increased urine. Magnesium loss in urine is associated with hyperglycemia. Alcoholics: 30% through 60% of alcoholics display low levels of magnesium. In addition, 90% of patients tested during alcohol withdrawal have shown significantly lower levels of magnesium. Whole Grains: buckwheat, oats, oat bran, barley, wheat, quinoa. Legumes: black beans, white beans, soybeans and navy beans are highest in magnesium. Patients with kidney disease should not take magnesium supplements without a doctor's supervision. Magnesium is excreted by the kidneys. Diuretics: Lasix, Bumex, Edecrin and hydrochlorothiazide. Some of these products and ingredients are used in-conjunction with high blood pressure medication. Be aware of muscle cramping when using these products. It may be a signal you need more magnesium. Interestingly, magnesium has been found to regulate blood pressure levels together with potassium. Two minerals, which may be lost with diuretics and dehydration. Blood Pressure Medications: Aamlodipine (Norvasc), Diltiazem (Cardizem), Felodipine (Plendil) and Verapamil (Calan). Antibiotics: Gentamicin, Ciprofloxacin (Cipro), Moxifloxacin (Avelox), Tetracycline (Sumycin), Doxycycline (Vibramycin), Minocycline (Minocin) and Amphotericin. Note, the RDA for magnesium changes for men and women upon entering adolescence and adulthood. Data developed by the Institute of Medicine of the National Academy of Sciences. Magnesium is required in 300 biochemical reactions in the human body. 50% of magnesium in the human body is found in the bone. A diet high in fat may limit the absorption of magnesium by the body. Heavily cooked foods may lose significant magnesium content. Excessive sweating may lead to magnesium deficiency. 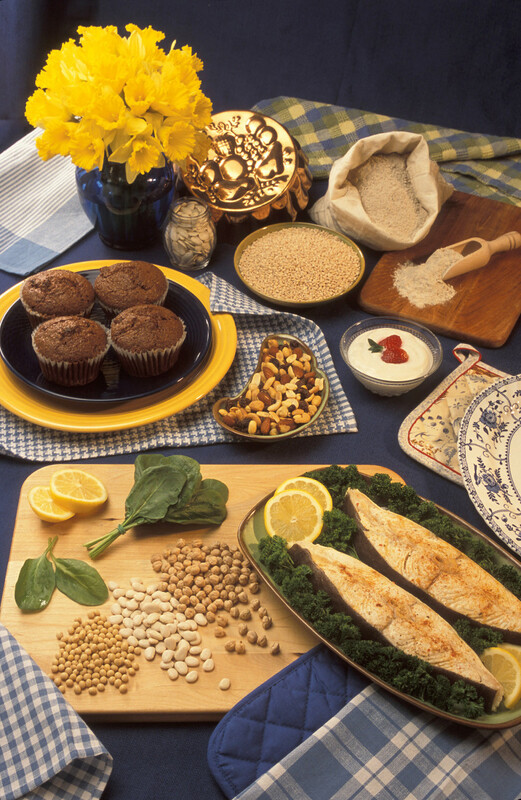 Whole grains have more magnesium than refined grains. A chocolate craving may be an indicator of low magnesium in the body. Hard water from the tap contains more magnesium than soft water. Patients suffering from kidney disease are commonly unable to excrete excessive amounts of magnesium. A diet high in magnesium, potassium and calcium have been clinically proven to reduce high blood pressure. Magnesium is needed for effective carbohydrate metabolism and may affect insulin and the control of blood sugar. Studies have shown higher blood levels of magnesium reduced the risk of coronary heart disease. Magnesium affects the metabolism of calcium. Studies show magnesium supplements may improve bone density in postmenopausal women. Intravenous (IV) administered magnesium is a common treatment in preeclampsia and eclampsia patients. It is said to help control and prevent seizures in these patients. Magnesium combined with B12 has been shown to improve PMS. Especially bloating, swelling and breast tenderness. U.S. Department of Agriculture, Agricultural Research Service. 2011. USDA National Nutrient Database for Standard Reference, Release 24. Nutrient Data Laboratory Home Page. Ramsay LE, Yeo WW, Jackson PR. Metabolic effects of diuretics. Cardiology 1994;84 Suppl 2:48-56. Tucker KL, Hannan MT, Chen H, Cupples LA, Wilson PW, Kiel DP. Potassium, magnesium, and fruit and vegetable intakes are associated with greater bone mineral density in elderly men and women. Am J Clin Nutr 1999;69(4):727-36. Shechter M, Merz CN, Paul-Labrador M, Meisel SR, Rude RK, Molloy MD, Dwyer JH, Shah PK, Kaul S. Oral magnesium supplementation inhibits platelet-dependent thrombosis in patients with coronary artery disease. American Journal of Cardiology 1999;84:152-6. Shechter M, Sharir M, Labrador MJ, Forrester J, Silver B, Bairey Merz CN. Oral magnesium therapy improves endothelial function in patients with coronary artery disease. Circulation 2000;102:2353-58. Ascherio A, Rimm EB, Hernan MA, Giovannucci EL, Kawachi I, Stampfer MJ, Willett WC. Intake of potassium, magnesium, calcium, and fiber and risk of stroke among US men. Circulation 1998;98:1198-204. Institute of Medicine. Food and Nutrition Board. Dietary Reference Intakes: Calcium, Phosphorus, Magnesium, Vitamin D and Fluoride. National Academy Press. Washington, DC, 2004. Disclaimer: The information provided in this hub should not be construed as personal medical advice or instruction. Please consult a physician for medical and dietary advice and treatment. 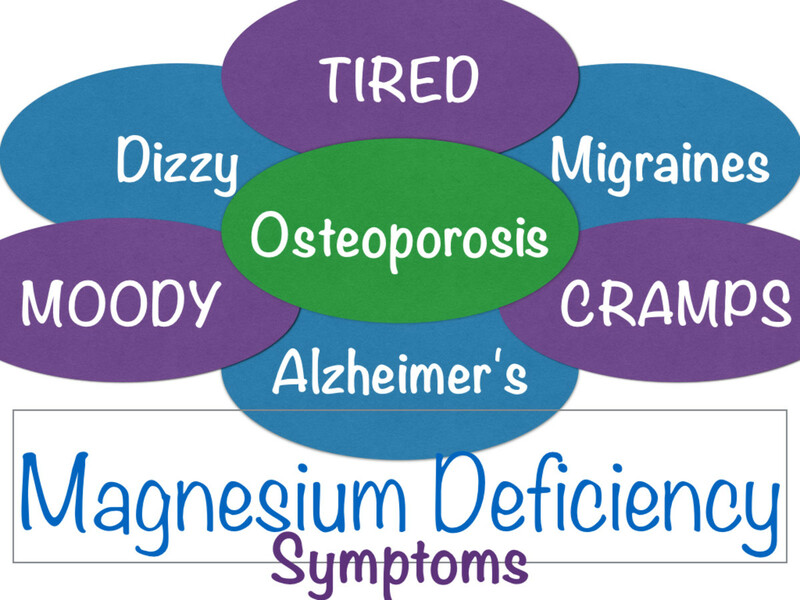 Magnesium Deficiency should not be assumed or treated without the supervision of a medical professional. Great post, I try to get as much magnesium in my daily diet as I can. But I also take a daily supplement as well. Excellent article. When I'm suffering from tiredness it is often because I'm not taking in enough magnesium. After some time I always fail to balance my diet to get enough. When it gets to bad I adjust, but the most difficult is always to stay on track. Great information here ! Great testimony! I've never taken magnesium alone as a supplement but I'm glad to hear you have felt the benefits. Funny, I've never even considered the stress involved with spa employees running around making their clients stress free...oh the irony! A very useful and informative hub. I have been taking magnesium supplements for many years now after I have read that it is good for the muscles and to ease and relax the aching back, arms and hands. It helps me a lot after stressful hours of working as a massage therapist in the spa and I sleep well in the night after taking the magnesium supplement. Glenn Stok, thank you for this great tip. I'll be sure to check that out and include it above. I understand tinnitus is extremely uncomfortable. My sister recently told me that she read somewhere that 500 mg of magnesium is also helpful for reducing tinnitus. I haven't checked this out but it may be an interesting additional benefit for tinnitus sufferers. After reading this a while back I decided to add a quality magnesium supplement to our diets. Over a period of time I've tried it with our other supplements and alone (we regularly drink almond milk which is a high calcium food) and have definitely experienced benefits you've noted here. The comments are worth reading through--an indication of a great hub. Pinning to my Solve It: Health… board. Great article, so much information! I give my husband magnesium supplement daily, to help his migraines. I was reading through the list of primary symptoms of Mg deficiency and of course as soon as I see a symptom I've had I automatically assume: "Oh! It must have been an MG deficiency." 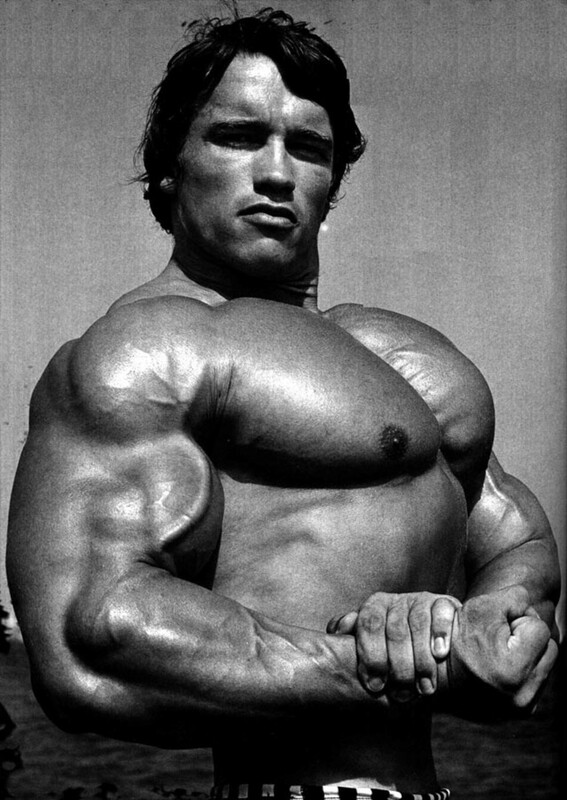 I think I'll be alright though, I eat a lot of spinach, so it's good to know I'm getting my Mg from that, I always thought spinach was only good for getting iron because I wrote a hub on the benefits of iron and the foods containing it and spinach was pretty high on the list. Another well researched hub, voted up! Great hub! I take magnesium to reduce TMJ pain...it's great to read about all of the terrific health benefits! I agree that magnesium is an important mineral that many people are deficient in. People under stress will use up a lot of magnesium as well. Very educational hub about magnesium, magnesium deficiency, and ways to cure that deficiency naturally. Miss Olive....This is the most complete article I have read on "Magnesium," and believe me, I have read quite a few. Actually, I have tried to become as knowledgeable as possible on minerals, in general, especially magnesium and potassium. (I've dealt with severe arrhythmias for 32 years) I am especially interested in the long list of foods that contain magnesium. You have included many more than I've seen before. I know we can take supplements, but I prefer to go the diet route whenever possible. Having a list of more foods, makes this easier. Really useful hub, chock-full of good info. I had no idea magnesium was so important to so many aspects of our overall health. I take a mag/cal supplement, but think I might want to review my dosage based on your article. I was talking to my sister in law this morning about magnesium as I was buying calcium the other day. I had a choice of calcium or calcium with vitamin d or calcium with magnesium. I bought the straight calcium as I already take vitamin d by itself. I don't think I have a deficiency in magnesium. Excellent hub! Excellent hub! Very useful information for everyone. I appreciate your effort/ research. Thanks for sharing. tjdavies, thank so much. Yes, I've read how they are great for migraines and I've continued researching that area. I do greatly appreciate your comment as it may help others who suffer from migraines. Glad to hear you enjoy a healthy veggie filled diet. Thanks so much for stopping by to read and comment. I also appreciate the votes and shares. Cheers! This hub is amazing and very informative. I have been taking magnesium supplements for years now. I take them to keep the migraines at bay. I also eat a healthy diet with lots of whole wheat and green veggies. Thanks for this hub..voted and shared!!! stayingalivemoma, wow! What an amazing experience. This gives a whole new meaning to your really neat pen name. It is interesting you did not distinguish exhaustion from a dropping heart rate. Thank goodness they had you monitored. Please take care of yourself and make sure you eat plenty of healthy food full of nutritional minerals and vitamins. Best wishes to you! This brings back memories.....I had magnesium deficiency while pregnant with my fourth child. After I delivered, the nurses came running into the room with a crash cart. They asked me how I felt....I said, "I just delivered a baby! I'm exhausted!" Little did I know, they were monitoring my heart and they said my heartbeat dropped down to like 40 beats per minute. They did some bloodwork and found that my magnesium was low. I had to take some via IV and even some pills after I left the hospital. Now, I have vitamin D deficiency. I try to get my bloodwork checked regularly, I do have a heart condition and an irregular heartbeat. Good information. Voted up and useful! Rolly A Chabot, hi there! Thank you so much. Yes, magnesium is very important and vital to many functions and areas in our body. Glad to share my research with you. I appreciate the votes and wonderful comment - Cheers. Hi Miss Olive... very interesting article here and realizing I may be missing a very important need. Thanks for all the hard work you have put into this... voted across the board... Great work. teaches12345, I'm sorry to hear your sister suffers from kidney stones. I understand it is very painful. I wish her well. Thank you for forwarding this. I appreciate you reading and commenting. My sister suffers from kidney stones and I will have to pass on this information to her. Your hub is great news for those who want to balance their health with important nutrients. Voted up! TToombs08, haha thank you. Yes, I was looking at the list and thinking to myself, hey, I eat most of this - regularly. Plus, these ingredients are a recipe in waiting. Thank you for reading and commenting. rajan jolly, Hi Rajan. Thank you so very much. I'm honored. I greatly appreciate the votes to0. Very well presented information Marisa. The variety of health conditions magnesium deficiency can lead to is mind boggling. 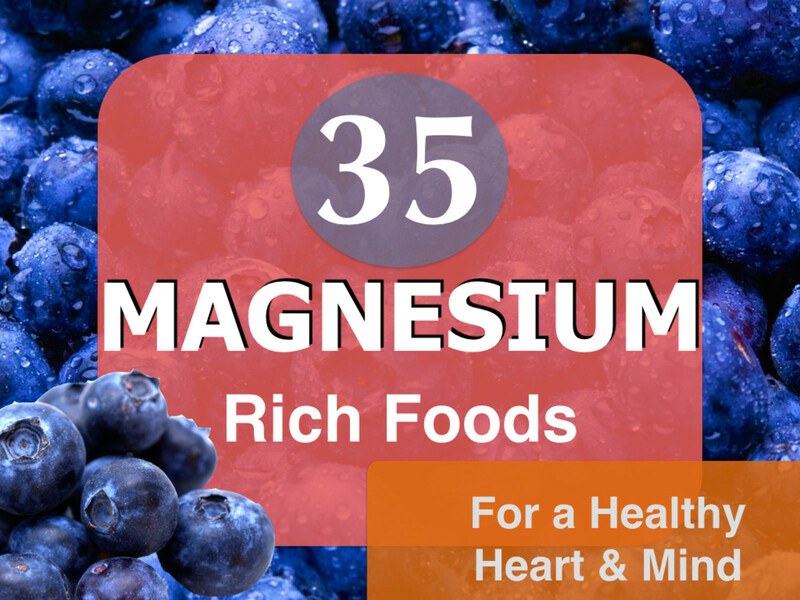 Great that you included a long list of magnesium rich foods. TToombs08, thank you! Well, now you know all the foods you can enjoy to help you get your magnesium up. Glad to see you, thanks again. Very excellent hub, MO! I think I suffer from a little of this. Guess I better load up on the leafy greens and nuts. :) Thank you for this! Ruchira, Hi! Thank you. I'm thrilled you have found this hub useful and informative. There are many nutritious foods out there to keep us healthy and stable. I greatly appreciate your votes and shares - thanks again. Randall Pruitt, thank you for sharing your insight and experience with magnesium deficiency. Plus, thanks for the added note on EKG rhythms. I appreciate you reading and commenting on this hub. I learned so much surrounding the good and bad of magnesium! The layout is spectacular which makes it really easy to find exactly what I need to know. I particularly liked finding out that foods rich in magnesium are generally high in fiber. So much knowledge here, ma'am! Up and so much more! Nice hub. Working in healthcare I know about magnesium level deficiency and what it can do. With magnesium deficiency it can also affect EKG rhythm and what it looks like. Keep up the great work. the clean life, thank you! I have updated the hub with a couple of links to your hubs. Thanks again for your support and great comment. I appreciate it. Austinstar, Hi Lelea, zinc is important too. Although, I do remember my grandmother overdoing it with zinc supplements and she was an unusual shade of orange. More than a bit disturbing. Along with magnesium, a supplement should contain enough zinc to help your body heal. I doubt anyone gets enough zinc in their diet. carol7777, me too! It is nice to know there are foods out there with all the natural minerals and vitamins we need. Natural nutrients make perfect sense. Thank you so much for your comment and votes. Lynn S. Murphy, I'm thrilled you found this interesting and you are also looking at a nutritious diet to meet your magnesium needs. I've had enough pills and I'm enjoying the research. Thank you for reading and commenting. Very interesting and something I'm going to look into. I do like to use natural means as opposed to fixing everything with a pill. I am big on any ways to improve health with natural means. This is a really good hub on magnesium and certainly complete. I am going to bookmark it to return for details. Very good and Voted UP. ALUR, thank you. Yes, magnesium is documented in relieving PMS issues. Especially bloating, swelling and breast tenderness. ErickDierker, Great question. Magnesium and calcium help the body absorb sugar and convert it to energy. A study showed patients with higher levels of calcium and magnesium in their diets had a more effective metabolism of sugar and had better insulin sensitivity. Kelleyward, Thank you so much for doing that. Your hubs are very well written and informative. I've linked to your anxiety hub as well. Glad to see you. Angelo52, one should definitely have enough magnesium. Attaining this vital mineral is best through diet, but supplements are available too. Too much of anything is never good though. I'm glad to hear you include many of the foods listed in your diet. Pamela99, thank you for your testimony. My mother in law just endured a 3 month hospital stay due to several surgeries. Magnesium levels were of great concern during her recovery. I'm happy to hear you find the food list and overall hub useful. Thanks so much for stopping by to read and comment. wetnosedogs, thank you so much! The data and research was truly fascinating. There is so much to learn and share. cclitgirl, Cyndi! LoL! You are such a joy and always make me laugh and smile. Hey, they do make gummy vitamins with minerals. :) Thank you so much for your wonderful comment and support. By the way, I like milk chocolate too. I've been building up my palate for dark chocolate though. It takes some getting used to. Sinea Pies, Wow! What a wonderful compliment. Thank you so much. I wanted to make this as easy to read as possible. You really made my day. molometer, Hi Michael, isn't it amazing how one mineral can affect the body? Thank you so much for your comment and I truly appreciate your votes and sharing. By the way, I've linked your wonderful, Benefits of Strawberries hub to this hub. Readers can find it when they click the word strawberry. Great info! Curiad, Thank you! I truly appreciate that. Thanks for reading and commenting. DS Duby, thank you for reading and the votes too. Make sure to keep this important mineral in your daily diet. So glad to see you came by. Thanks again. This is well written and very informative! A very detailed and well researched hub, on the benefits of magnesium in our diets. It is astonishing what a simple deficiency can lead to. The symptoms to look out for, and the foods that contain this essential mineral are well documented here. Well done as always. This is a superb article, Missolive. WOW! Everyone needs to read it for the important content but, above that, writers should study it for the depth of information, easy-t0-read layout and high value for the reader! Voted up, useful, tweeted, liked and shared. In fact, I'm Stumbling this one, too. What a beautiful, fantastic, well-researched, well-laid-out hub! How awesome! Yes, I'm now craving chocolate, too. Though, I admit I love the milk chocolate kind...dark chocolate is better for you, I know. But this is an incredible hub and you consulted many sources - I'd believe it if you told me gummy bears had magnesium! LOL. Many votes and shared! Appreciate the hard work you put into this hub. Excellent information on magnesium. I think the list of foods is really important. I remember when I was working as a nurse and having patients low in magnesium, sometimes with serious consequences. Very useful hub. Excellent article with a lot of information on magnesium. To have enough or not to have enough seems to be the question. Your list of foods with magnesium includes many of which I eat on a daily basis. What is the connection with Calcium? I think I heard one without the other passes through our system to fast.